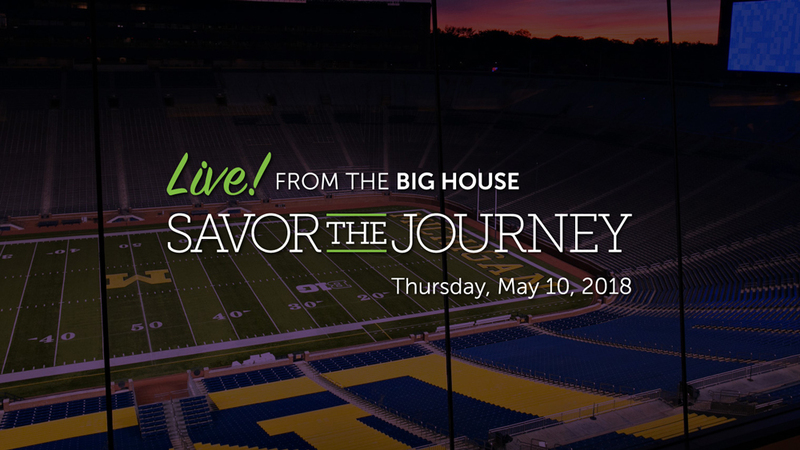 Arbor Hospice invites you to enjoy life from a new perspective during its reimagined Savor the Journey fundraising event from 6 to 9 p.m. on Thursday, May 10 at the Jack Roth Stadium Club, located within the Wolverine’s Michigan Stadium at 1201 S Main St in Ann Arbor, MI. High above the iconic Block M, the event will kick off with a strolling dinner featuring a variety of food stations including vegan and vegetarian options along with strolling desserts and an open bar. Following dinner, guests will have the opportunity to take the field like the Maize and Blue for a chance to snap photos, toss the pigskin or simply appreciate the stadium’s one-of-a-kind atmosphere. Individual ticket prices are $125 and include complementary valet service. Business attire is recommended, although guests are encouraged to bring comfortable shoes to wear on the field. Proceeds from the event will support essential programs such as pediatric hospice, grief support services, complementary therapies, and uncompensated care through The Arbor Hospice Foundation. Sponsorships that include tickets and other benefits are also available, ranging from $1,000 to $20,000. Current Savor the Journey sponsors include Royal Truck & Trailer Sales & Service, Inc.Dunning Toyota and Bank of Ann Arbor. Since its debut in May 2011, more than 1,800 guests – including the region’s top community and business leaders – have supported the work of Arbor Hospice through Savor the Journey, raising more than $1.17 million. For more information about the event, please contact Kim Streich at 734-794-5120 or kstreich@arborhospice.org. Sponsorships are available by contacting Judy Vindici at 734-794-5542 or jvindici@arborhospice.org.